For decades, gasoline engines powered American pickup trucks. Eventually, manufacturers realized the potential of diesel fuel. For years in America, diesel was the fuel of choice for the big semi-trucks, industrial machines, boats and locomotives, but not for cars or small new and used pickup trucks. Over the years, various manufacturers have offered the diesel engine as an option for passenger cars, but despite the advantages, it never became a sales hit. Worse yet, after the recent infamous Volkswagen “Dieselgate” emission scandal, the future of diesel passenger cars on the American market is in jeopardy. But, in the new or used pickup truck market, diesel-powered models are becoming common. In fact, it looks like this type of fuel will dominate in the pickup truck market. 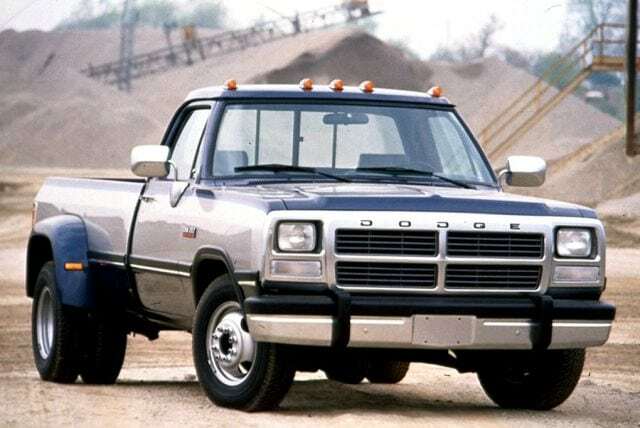 Although all major pickup brands offer diesel-powered trucks now, this type of engine was only available in the biggest 3500 and heavy-duty trucks back in the day. Diesel also powers those large dually trucks, which come with two wheels on each side of their rear axles, too. If you’re shopping for a pickup, keep reading to learn about the best new and used diesel trucks currently on the market. The variety of classes on the truck market provides a wide selection new and second-hand diesel trucks. No matter your budget, you can find the perfect truck for you. The advantages of diesel over gasoline engines are numerous. Diesel engines produce a lot more torque, which is important for new and used pickup trucks. More torque allows the vehicle to increase towing capacity or payload. In addition, diesel engines are more economical for trucks because they can get much more miles per gallon than a gasoline engine. Since diesel units achieve maximum power and torque at much lower revs than gasoline engines, diesels are more durable and have longer engine life, as well. However, there are some problems with diesel engines, too. They require frequent oil changes and special procedures when towing heavy loads. Another issue is that diesel engines are sensitive to extreme cold, which can be a problem in some parts of North America. When the weather is below freezing, diesel vehicles can experience trouble starting. This happens because the cold makes diesel fuel dense, clogging the fuel lines. You can use a fuel additive to prevent this problem, but always be aware of the extreme cold. Lastly, the maintenance costs are higher for diesel than for gasoline-powered vehicles. Despite being 10 years old, the 2006 and 2007 Chevy and GMC 2500 and 3500 diesel trucks are still a great buy if you need a large, capable work truck. Under the hood is the venerable 6.6-liter Duramax diesel V8 with 350 HP and 650 lb-ft of torque. There are three important things about this engine. There are three important things about this engine. First, Chevrolet produced this version before emissions gear and particle filters became mandatory, so it is more powerful than the newer versions. Second, it has a Bosch fuel injection system, which is highly reliable. Third, it is possible to tune the fuel injection system, as well as the turbocharger, ECU and fuel pump to get more power and torque. Chevy offers a manual transmission version of this truck, but truck experts recommend using the Allison six-speed automatic, especially if you want to use your truck for hard work. There are currently several models on the market and for approximately $15,000 to $18,000. With all the choices, you can find a pickup truck with low miles, in good working order, with attractive options and lots of miles left in it.